There is exciting news from DMG (Dynamic Measurement Group), the authors of DIBELS Next. DMG has announced the 2018 release of two new measures that are included within their suite of universal screening assessments. If your school or district uses DIBELS Next for universal screening, you can now include a Rapid Automatized Naming (RAN) and Spelling task to your K-1stgrade screening protocols. For more information on best practices for universal screening for students at risk for reading difficulties (including dyslexia), visit DDCA’s Universal Screening module under Educator Resources. for Children at Risk for Dyslexia. Please note that DDCA does not officially endorse, represent, or have a legal connection with this vendor/provider. San Francisco, CA, [April 17, 2018]–Decoding Dyslexia CA (DDCA) has just launched its first educator module on Universal Screening for Reading Difficulties. 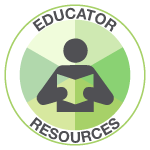 Additional modules on dyslexia-related topics for educators will be added over the next several months. These modules are intended to add a new level of support for teachers, specialists and administrators. DDCA is creating a consolidated, curated library of reliable resources that represent best practices designed especially for educators. DDCA is previewing and hand-selecting quality content from internationally recognized dyslexia experts and organizations, peer-reviewed research studies, dyslexia guidelines from the California Department of Education and dyslexia guidelines from other State Departments of Education. It is anticipated that the launch of these educator modules will assist school districts that are in the process of implementing the CA Department of Education’s Dyslexia Guidelines (released August 2017). DDCA’s goal is to create a culture of support for teaching, intervention and assessment practices that work best for students with dyslexia. “As an intervention specialist in a California public school district, I believe educators will find these resources informative and effective. Teachers are eager to know how to support their students. School leaders are eager for high-quality material designed to inform their decisions. I encourage you to sign up for the DDCA email list to be notified as each module is released,”stated Kristen Koeller, DDCA’s Educator Outreach Manager.